Too Much Johnson, the Orson Welles film (or rather film project) that was long thought lost (the last print was reportedly destroyed in a fire in Welles’ Spanish home in 1970), was found a few years ago and restored. It’s not a feature or even a short, per se, more of an experiment shot to accompany a production of the theater farce “Too Much Johnson,” but at least the first section plays just fine on its own as a tribute to silent slapstick comedy with Joseph Cotten doing Harold Lloyd antics and Buster Keaton chases as a serial philanderer pursued by a jealous husband. The film was unfinished but mostly complete and you can watch both the workprint and a “reimagined” version with the outtakes removed at the National Film Preservation Foundation website. An HD version of both are available through the subscription streaming service Fandor. The third wave of Amazon Prime Instant Video Pilot Season shows will be available to sample on Thursday, August 28. As in previous waves, Amazon has made the pilot episodes of five new shows available to all Amazon customers (you don’t have to be a Prime member to watch them), and they will decide which shows move forward to full series based on audience feedback. This time through, they have enlisted some interesting directors to create for the small screen. Whit Stillman heads to Paris for The Cosmopolitans, a continental romantic comedy, David Gordon Green (director of Pineapple Express and HBO’s Eastbound and Down) stays home in New Jersey for Red Oaks, a coming-of-age comedy set in 1985 (it’s produced by Steven Soderbergh), and Jay Chandrasekhar offers the sitcom Really, about a tight-knit group of married couples in Chicago. Each of these are in the half-hour format. There are also two hour-long shows: Marc Forster (World War Z) takes the helm on Hand of God, starring Ron Perlman as a judge of dubious morals who goes vigilante after receiving messages from God, and writer / producer Shaun Cassidy delivers Hysteria, with Mena Suvari as a neurologist faced with virtual virus spread through social media. The Normal Heart (HBO, Blu-ray, DVD, Digital HD), the made-for-HBO feature based on Larry Kramer’s play and directed for cable by Ryan Murphy, arrives on disc the day after winning the Emmy Award for Outstanding Television Movie. Kramer wrote the play in 1985, based in part on his own experiences as a gay activist in the early years of the AIDS crisis, and it captures an era when thousands of gay men were dying yet the mainstream media shied from reporting on the plague (as it was called then) and government officials would not even say the name AIDS in public. 30 years out of time, it seems more of a polemic than ever but it also captures the fear and fury of the men in the community facing a crisis that even the government won’t acknowledge. Mark Ruffalo takes the lead as Ned Weeks, a writer and activist that Kramer based on himself. He’s the rabble rouser of the group that he founds in 1981, a guy so angry and confrontational that he’s finally pushed out. But the internal politics reflect the culture at large—many of the most active members of the group (played by Taylor Kitsch, as the photogenic face of the gay men’s health group, Jim Parsons and Joe Mantello, who played Ned in the original stage production) still haven’t come out in public—and the fears that many have of creating a panic that will turn the public against them. Matt Bomer co-stars as Weeks’ boyfriend, a New York Times reporter who also hasn’t come out, and Julia Roberts is apparently the only doctor in New York City who is concerned with the still-unidentified disease. Most of these characters were based on people Kramer knew, friends and family alike, and some of these characters are dead before the film ends in the year 1985. Just like in real life. It came to HBO after a successful stage revival but 30 years out of time it plays more like a period piece, removed enough from the immediacy of the crisis to really pour on the sense of outrage and fear, something that the earliest films to confront AIDS could never allow themselves to do. That outrage, and the committed performances of the cast, surely helped this feature earn its Emmy last night. On Blu-ray and DVD with a nine-minute featurette on author Larry Kramer and the autobiographical roots of the original play. It sheds some interesting perspective on the personal dramas explored here. Also available as a Digital purchase and free for subscribers to HBO via Cable On Demand and HBO Go. An Adventure in Space and Time (Warner, Blu-ray+DVD Combo) is a TV movie made for the BBC but it is a movie nonetheless, a bit of pop culture celebration that takes on the creation of Doctor Who in 1963 (just in time for the 50th Anniversary!). 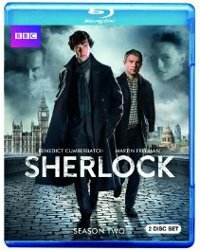 Scripted by veteran Doctor Who writer Mark Gatiss and produced by current Doctor Who showrunner Steven Moffat, it’s sweet, it’s sentimental and it’s nostalgic. It’s also unexpectedly engaging as a piece of light historical drama made with an affectionate passion and more than a hint of the BBC series The Hour in its observations of the inner workings of the broadcaster half a century ago. David Bradley plays William Hartnell, the aging veteran actor who reluctantly takes on the role in what he sees as just a kid’s show, and Jessica Raine is Verity Lambert, the former production assistant given the assignment of creating a prime time family show by her mentor (Brian Cox), now a ranking executive at the Beeb. She’s the first female producer at BBC and her director, Waris Hussein (Sacha Dhawan), was a rare director of Indian descent, and their stories are a small but important part of this portrait of an institution in transition. Together they overcome budgetary limitations with flights of fantasy and creative special effects and the show recreates iconic events in the first four years of the series, from the series debut getting clobbered when it had the unfortunate luck of showing the night (British time) of the assassination of President John F. Kennedy to the first appearance of the Daleks to the explosion of Who-mania in Britain. That’s 17-year-old Norman Bates (Freddie Highmore) in the premiere episode of “Bates Motel,” explaining to his admiring new teacher, Miss Watson (Keegan Connor Tracy), why he’s been bounced around to five different high schools. His mother Norma (Vera Farmiga) has just moved them from Arizona to White Pine Bay, a sleepy coastal Oregon town, following the tragic (accidental?) death of her second husband. Apparently Norma has valid reasons for her impulsive behavior. Either that, or … she just goes a little crazy sometimes. We’ve heard that line before; it’s from Alfred Hitchcock’s 1960 horror/suspense classic “Psycho,” in which motel owner Norman (now in his twenties and played by Anthony Perkins) is revealed to be a homicidal psychopath, driven to murder by an extreme case of split personality. 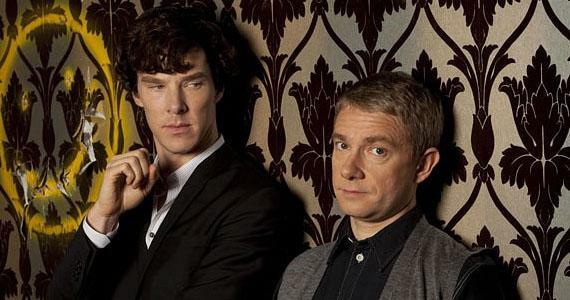 Continuing our tribute to the best of 2012, here are my picks for the top TV releases on disc. 1. 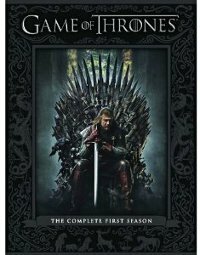 “Game of Thrones: The Complete First Season” (HBO) – Pay cable is always looking for the next buzz show, a series that gets people talking, watching and subscribing. “Game of Thrones,” the epic fantasy set in a medieval world of warring kingdoms, cutthroat royal families, barbarians, dragons, and some undefined evil kept at bay (at least up until now) behind a massive wall taller than a skyscraper, is such a show. This complex, intelligent, and visually impressive production is the most lavish fantasy epic TV has ever seen. This could be a fanciful take on Europe of the Dark Ages but for the echoes of supernatural forces massing outside of the borders. The casting is superb, the production looks amazing, like a medieval epic shrouded in the shadow of a winter storm, and the writing is intelligent and always surprising. Like so many HBO shows, it takes its time unfolding its story and doesn’t follow the expectations of TV storytelling (major characters are constantly sacrificed to the ruthlessness of the story), but it casts its spell from the opening scenes. 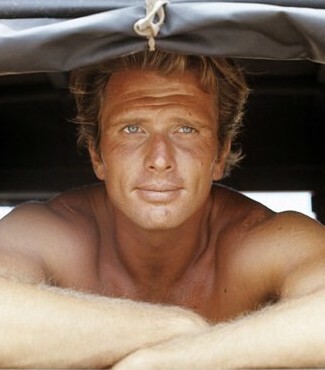 Ron Ely seem to be enjoying his retirement. Most famous for playing Tarzan in the first TV incarnation of the story, he also played another great pulp hero, Doc Savage, in a 1975 movie, starred in a short-lived revival of the TV series “Sea Hunt” and even took over hosting duties for The Miss American Pageant from Bert Parks for a brief time. Off screen, he published two private eye novels, “Night Shadows” and “East Beach. According to the IMDb, his last screen appearance was over a decade ago (in, appropriately enough, the jungle girl show “Sheena”). Videodrone’s review of “Tarzan: The First Season” is here. I watch every new show that comes out. It’s hard to name them all because they turn over so fast. Some I get attached to and then they disappear. Currently I like “The Good Wife,” “Smash,” “Awake,” I like some of the reality shows. I like a show I would have definitely done twenty years ago, “Survivor.” I would have loved to have done that. They wouldn’t have stood a chance against you. Well, now, I was an actor playing a guy that could survive in the wild. I was not a guy who could survive in the wild, I don’t think. I don’t know. It would have been a fun experience, it would have been delightful to test yourself against that kind of circumstance. 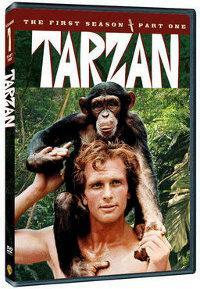 Have they sent you a copy of the “Tarzan” series yet? They have indeed and it is magnificent. I have not been able to see all of them but I have run a couple, just kind of spot checked, and they look really sharp and good. They’ve done a fabulous job in mastering these shows. How did you get the part of Tarzan? “Lives Worth Living” premieres on the PBS series “Independent Lens” on October 27th at 10:00 p.m. (ET/PT). For more information, visit the film’s PBS website and filmmaker Eric Neudel’s website. Like those of us with disabilities, Eric Neudel’s documentary Lives Worth Living is situated at that halfway point on the rocky road of progress. In just 54 inspiring and informative minutes, Neudel’s exceptional film (airing Oct. 27th at 10pm on the PBS series Independent Lens) provides a concise primer on the history of the disability rights movement in America. The film culminates with the passage of the Americans with Disabilities Act (ADA), which was signed into law by President George H.W. Bush on July 26th, 1990. And yet, it’s only half the story. In a perfect world, PBS would immediately finance a sequel so Neudel (who has devoted his career to documenting political and civil rights struggles) could chronicle the first 20 years of the ADA. That history is still unfolding, and the struggle to enforce and fully implement the ADA is just as compelling as the struggle for disability rights throughout the 1960s, ’70s and ’80s. Sometime in the late 1970s, some enterprising programmer at PBS had the brilliant idea of resurrecting a series of half-hour comedy specials from the late 1950s written and produced by and starring Ernie Kovacs and running them back to back with its long-standing reruns of the ever-popular Monty Python’s Flying Circus. With that single connection, a whole new generation discovered the genius of Kovacs and his creative approach to TV comedy, which twenty years later had aged only in terms of the tools. It’s now more than 50 years since his final special was broadcast (posthumously, it must be said; he died weeks before it ran) and while the technology is primitive, the inspiration, the unexpectedness, the ingenuity and the grace of execution is as fresh and surprising and funny as ever. Those specials are collected in Shout! 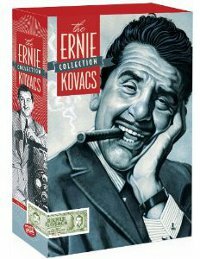 Factory six-disc set The Ernie Kovacs Collection—they are indeed the highlight of a box of comedy genius—but merely represent a single disc in the six-disc set, the apex of work he began early in the 1950s in chat shows, variety specials, game shows and whatever else he was offered. Ernie Kovacs was both the George Melies and the Tex Avery of live TV, playing with the untapped possibilities of the still evolving medium by imagining the impossible and finding the technical resources (some of them ingeniously simple) to make it happen. 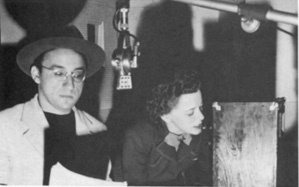 In an era before computer animation, digital editing or even videotape, when sketches played out like a filmed stage show, he created gags with the quality of cartoons and defied audience expectations with images created with primitive blue-screen and spilt-screen effects, unexpected editing and self-reflexive acknowledgements of his place a TV entertainer interacting with an audience. His inventive use of the tools of the medium and his conceptual approach to comedy was not simply ingenious, it was in the service of wildly creative humor, and his legacy is seen in everything from Laugh-In and Saturday Night Live to Monty Python’s Flying Circus and David Letterman. What’s so rewarding about this set—the pure entertainment value aside—is how it reveals that this distinctive sensibility was there from the beginning of his TV work when he hosted a morning show out of Philadelphia and various other chat show formats for NBC through the early fifties. Kovacs is genial and fun, always appearing to riff off his prepared material as he segued from the familiar TV host duties to conceptual gags like a video DJ, and always bringing the audience along as if a conspirator in his pranksterish plot to reveal and poke fun at the conventions of the live TV medium. He is remarkably relaxed in front of an audience or speaking to a camera with a conversational ease, a gift that is often forgotten when remembering his work as a comic innovator. And it’s all the more effective set against his cheeky gags and wild comic ingenuity, like he’s setting the audience up for a familiar skit or variety show presentation and then pulling the rug out from under all expectations without blinking. Australian thespian John Noble was best know to American audiences as King Denethor in Peter Jackson’s Lord of the Rings films before he became Walter Bishop in Fringe. The character is a tortured genius who spent 17 years in a mental facility, treated with heavy doses of pharmaceuticals and receiving no visitors, until he was released into the custody of FBI agent Olivia Dunham (Anna Torv) and Walter’s estranged son, Peter (Joshua Jackson), whose resentments smooth out to affection over the course the show. On the one hand, Walter is an entertaining eccentric with limited social skills and a childlike delight in the smallest things. On the other, he’s a broken soul whose earlier experiments sacrificed people in the name of science and now, as he rediscovers his humanity in the social world, has to face the human cost of his actions. His compassion and responsibility is returning and it’s painful. John Noble as Walter Bishop on "Fringe"
Noble’s resonant voice takes on a continental quality for the role, vaguely but indistinctly American. “When I first approached the character, I was looking for something that was unique,” he explained about the accent. “We could have done standard American, but looking for something a bit more Trans-Atlantic, because my experience with academics, they do have a slightly different way of talking. They mix with people from all over the world. So I guess what I settled on was something which could have been like a Boston accent but with English adaptations, and that was the Trans-Atlantic one.” When he drops character, however, his Australian heritage comes through loud and clear. The road to this interview was unusually complicated. His tentative availability during an abbreviated set visit was scotched due to production shifts. A scheduled conference call became an exercise in frustration when I couldn’t get a question through, thanks to a connection glitch. Finally a direct phone interview was arranged via a temperamental cell phone, and despite the drop-outs and fuzz I was able to get in a questions in a brief ten minute discussion. The following interview, conducted by phone on March 29, features our discussion plus a few comments from the earlier conference call. Spoiler alert: The conversation reveals elements of the episode “Peter” (which aired Thursday, April 1). The rest of the season is discussed in more vague terms. 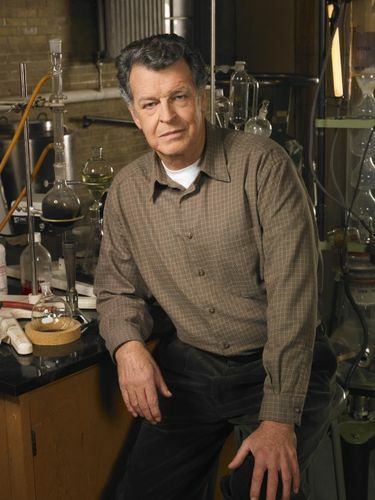 Fringe is about a lot of things, but the most interesting story to me is the human story of Walter Bishop rediscovering his conscience and his humanity as he reconnects with his son and starts to care for the people he works with, and starts to see the damage of his experiments on the people that he loves and on people he’s just now meeting. The retreat into insanity was a defense mechanism based on the theory you’re taking, which I do agree with. He became aware that he effected basically the whole stability of society. So whether he retreated into society to survive that or it’s a defense mechanism, which is also possible, I think it’s a very good point. However, coming out of it, he’s having to face all that again and it’s tragic. It’s bloody awful, isn’t it.